Ideal for those looking to shake up their style, find a killer new outfit for a party, or just those who can never find the time to shop! Looking good and feeling great doesn't have to be time-consuming or expensive, just spend half a day with a personal shopper and uncover a new you! With four hours of dedicated styling advice, you'll learn how to shop smart and discover what suits your body and budget, hopefully coming away with a new wardrobe that does wonders for your confidence. Whether you've got a big event coming up, want to completely overhaul your look, or just want some advice on styling, this personal shopping experience is sure to help you get the results you want. 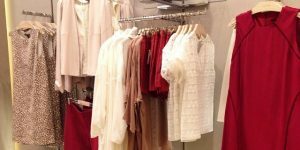 Joining a professional stylist in Johannesburg, you'll journey round Sandton City Shopping Centre visiting various boutiques and retail stores, picking outfits that represent your unique personality. You're also welcome to invite a couple of friends along to get a second opinion! Your personal shopper will give you suggestions and guidance, but ultimately you'll choose whatever you feel comfortable (and fabulous) in. Now go shop till you drop! 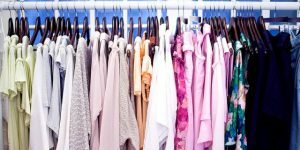 The Half Day Personal Shopping Experience in Gauteng makes a wonderful gift for those who need a little confidence boost, or as a treat to yourself to get some great new garments - shopping will never be the same again! This is a four hour personal shopping experience. Participants: The Half Day Personal Shopping Experience in Gauteng is for 1 participant.